Jamie Pozzebon, Registered Massage Therapist, joined the Accident Injury Management Clinic / St. Catharines Chiropractic & Health Center team in 2008. 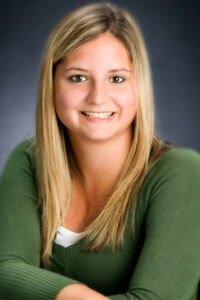 Her eager attitude to assist patients using massage therapy is a welcome asset to the clinic. Jamie has grown up in St. Catharines and has been an active member in her community. After completing West Park Secondary School in St. Catharines she attended Lambton College earning her diploma in Massage Therapy. She volunteered in Petrolia, Ontario providing Massage Therapy to the elderly at a Geriatric Hospital. Many of the elderly report massage therapy provide comfort from the side effects of such conditions as Parkinson’s, Diabetes, Cancer, and Heart disease. Jamie holds membership in the Ontario Massage Therapy Association and the College of Massage Therapists of Ontario. Jamie enjoys being active, reading, spending time with friends and family, and making people smile.